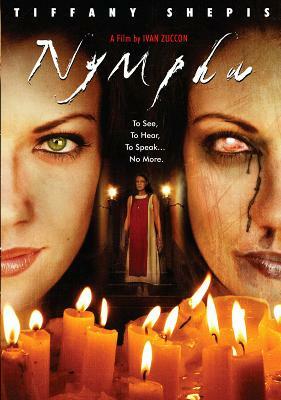 NyMpha is the story of Sarah, who goes to Italy to take vows needed to become a cloister Nun of the "New Order" Convent. The rules of the convent are very strict, so strict that they are often considered a form of torture. During Sarah's journey, she has visions of the Convents violent past - and the madman that wreaked havoc. His madness seems to be present today - within the walls of the convent where Sarah lives. SPECIAL DVD FEATURES: 16:9 WIDESCREEN FORMAT, 5.1 DOLBY DIGITAL SURROUND SOUND, BEHIND THE SCENES , INTERACTIVE MENUS, SCENE SELECTION, TRAILERS, BIOS AND OPTIONAL SPANISH SUBTITLES.